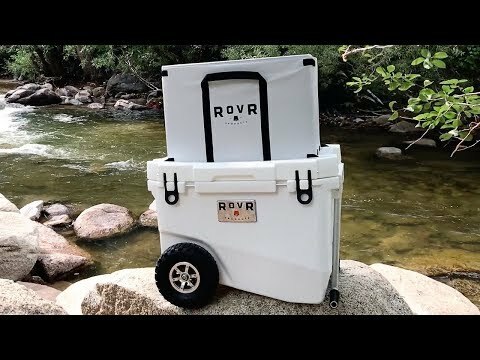 This cooler is adventure-ready, thanks to all-terrain puncture-resistant wheels, an aluminum dual-grip handle, and a durable, roto-molded body. Two inch-thick foam insulation keeps contents cold for up to 10 days, while an interior storage bin keeps them dry, separated, and organized. Feeling really adventurous? 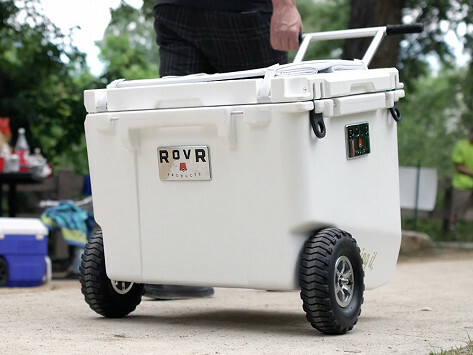 This rugged cooler is certified Grizzly bear-proof, too. Dimensions: 60 Quart: 27" x 22" x 22"; 80 Quart: 27" x 24" x 24"
Weight: 60 Quart: 55.3 lbs. ; 80 Quart: 70 lbs. Really happy with this chest. fits the back of my pickup nice. If your adventures happen on two wheels, there’s a bike attachment that lets the RovR tag along. And if your adventures get really wild, this cooler is even certified Grizzly bear-proof, too.